When space gets tight you have two basic options, build up or move out. The lower cost option to new construction is a custom designed mezzanine. 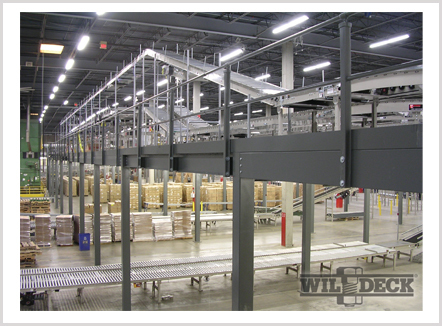 A mezzanine allows for better utilization of overhead space thus gaining use of valuable area for storage, office, assembly, production, etc. Allow Morrison Company to evaluate your current situation, future needs and budget and we will create a system that will work for you.